Guitar Blog: Why do so many people want to play guitar? Why do so many people want to play guitar? Today there seems to be a guitar phenomenon. Is there a more popular musical instrument in the world? Guitar is so popular that even the game Guitar Hero has out sold every other game on the shelf. They now have Air Guitar competitions and its serious business. Where are they coming from? Why do so many people want to play guitar. I can only give you an educated guess at best. I strongly believe the guitar has become fashion. So often now I see images of guitars in the media. Look at almost any advertisement aimed at a teenager and 8 of 10 times there will be a guitar in the background. Miley Cyrus, Taylor Swift are popular girl sensation and unlike say Britney, Kylie or Madonna of the previous generation they perform with a guitar. 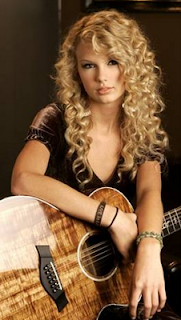 Guitar is part of her image. This guitar image can be seen everywhere and guitar equals cool. Anyone who is anyone plays guitar right? So in short guitar has become a fashion accessory and as far as I am concerned its much more attractive than any other accessory. 3 habits of my best guitar students. How hard is it to learn guitar? 5 ways to motivate yourself to practice guitar. How did Eddie Van Halen get so good on guitar? What age can children learn guitar?